Note: Cove Point LNG has been dormant as an import facility since 2011. Its function then was to offload liquefied natural gas (LNG) from tankers which originated in Algeria, and pipe it into the seven massive storage tanks. The supercooled and pressurized LNG would then be re-gasified in order to travel through pipelines. Prince Frederick, MD – For Lambertine Jones Jr. the whole situation is an example of a promise that was broken. The Chesapeake Beach resident who owns LJ Enterprises, a hauling contractor, said talk that the lucrative Dominion Cove Point Export project would give various sub-contracts to Calvert County businesses was apparently just that—talk. 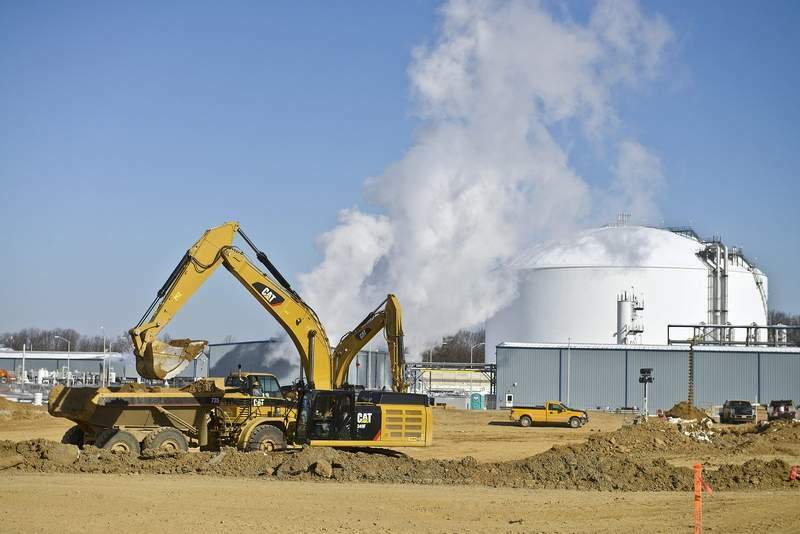 Jones told the board that he has spoken with other Calvert County contractors, all of whom claim their trucks are parked and not involved in the $3.8 billion project to construct a liquefaction facility at the Cove Point Liquefied Natural Gas (LNG) Plant. When Police Harass Cove Point Protesters, Is Dominion Getting What It Paid For?